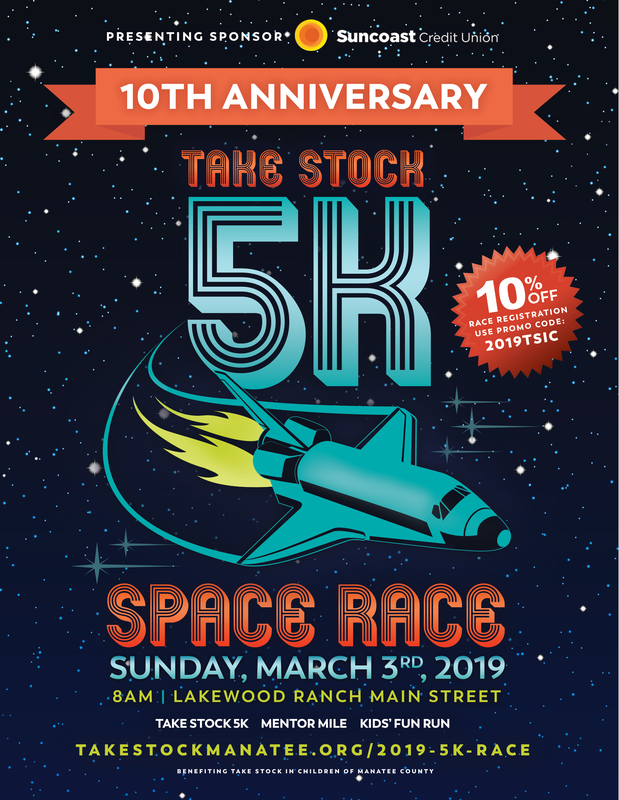 Register for the Take Stock in Education Run! In years past, our wonderful school has been able to award one of our 5th grade students with a college scholarship, all because of how many Rowlett families participated in the Take Stock for Education run! We need 300 participants from our school to be eligible for a scholarship! How amazing would it be to see a 5th grader and their parents receive something like a scholarship? 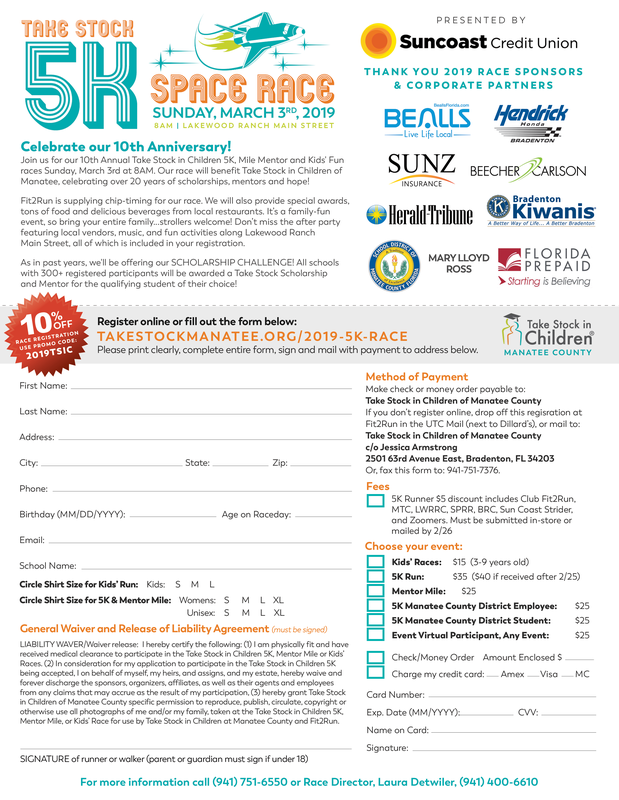 The Take Stock in Children of Manatee County will hold the 10th Annual Take Stock 5k/Fun Run, Sunday, March 3, 2019. Runners will start and finish on Main Street in Lakewood Ranch. The 5k is scheduled to begin at 8:05 a.m. The Kids Run (ages 3-9) starts at 7:30 a.m. Post Race party with food, entertainment, awards and kids activities immediately following the race. Unable to make the event but still want to help out? You can register as a Virtual Participant!